Hi, friends today in this post we have to see that how to set auto-reply message in WhatsApp messenger. Please share this post with all your friends. Nowadays all peoples are busy with their work schedule. Some in their studies and some in their usual works. 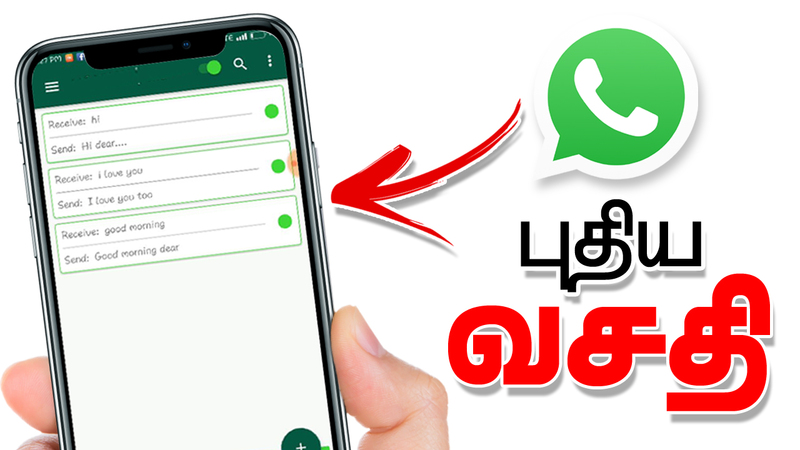 If you are doing your work at that time your loved ones send a message in WhatsApp then you will not able to reply message him.At that time this amazing app will help you to send a reply message to your friends automatically. In this post we can see it briefly. Usually this app is very usefull to set automatic reply message. First Download the app from the option Then select the Plus icon and set the Receiver message and below that set the sender message and select the tick mark. Same procedure set the number of receiver and sender messages by selecting Plus icon. After that, if any of your friends send any message like in sender option the app will automatcially send the message as previous stored. This app responds to the receiving messages in the app. – You can set an auto responder message to specific contact also. – Widget with quick auto responder overview.